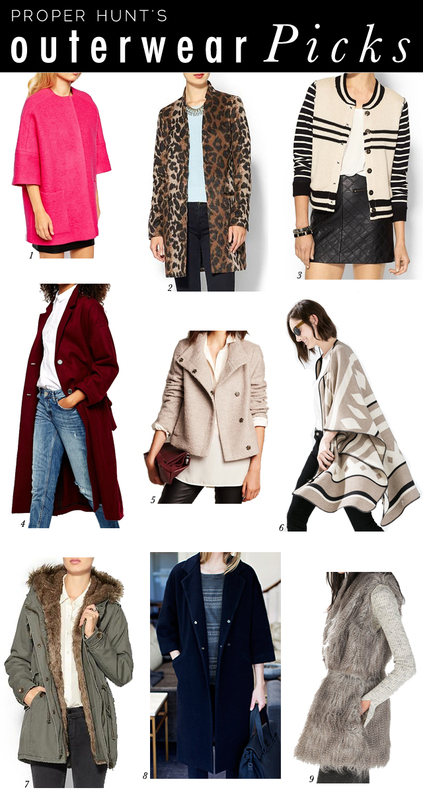 Every Fall season, I find myself wanting a new coat and well, this year is no different. But this year, I'm adding vests and jackets to my wish list. It couldn't be helped, especially when I can see myself wearing them so easily this Fall and Winter. And I'm particularly loving that poncho - so good, right? For everyday wear, I'm thinking that Piperlime Collection Anorak is perfectly practical yet glam with the faux fur. See any favorites? Leopard and berry, must have.